Elect Lady Victoria Miller is a dedicated woman of charm, and charisma at the Chosen Generation Church of God in Christ located in Terrell Texas. She is the devoted wife of 28 years to Pastor Reginald E. Miller Sr. and is the mother of three that she devoted herself to homeschooling through their high school years. Their children are college graduates and faithfully serve within the ministry. 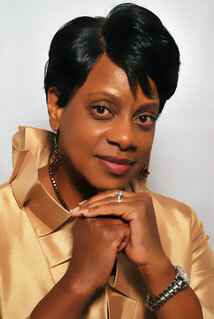 The Lord has graciously gifted Lady Miller as a teacher, business administrator, and vocalist. She leads the congregation in praise and worship, serves as the Director of the Women’s Department, and is the beloved teacher of the DOVE’s (Daughters of Virtue & Empowerment). For twelve years she sustained a successful childcare business. Her “behind-the-scene” ministry is gracefully rendered driven by the love she has for her Savior and his people.